Number of Sleeping Rooms/Suites: 150 Number of Meeting Rooms: 2 Total Meeting Space: 1,200 sq. ft., 300 sq. ft. Type of	Banquet Meeting Venue: Classroom, Theater Distance to PHX Sky Harbor: 16 miles Distance to Phoenix Mesa Gateway Airport: 15 miles Courtyard and Fairfield Chandler Fashion Center share two meeting spaces. Saguaro Meeting Space is 1200 square feet, and can be divided in half for two spaces. Saguaro can accommodate classroom, theater, banquet, conference and U-shape style seating. 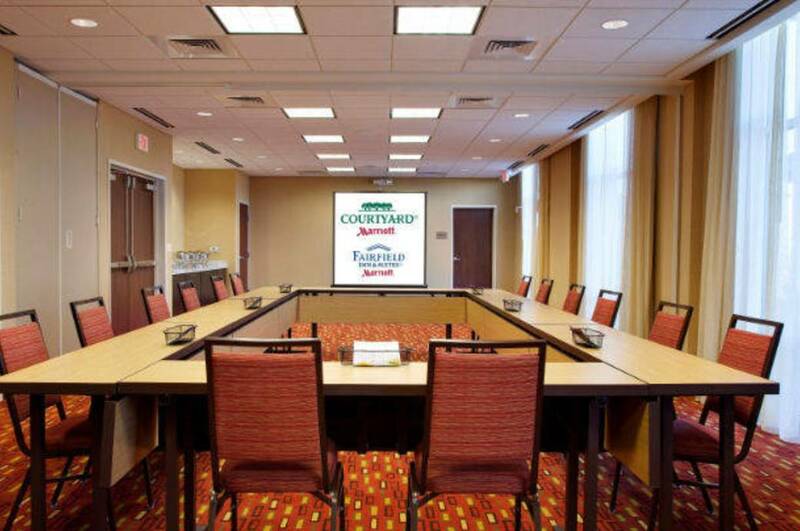 Gila Boardroom comfortably accommodates 12 people board room style. The hotel is equipped with LCD projectors, screens, polycom speaker phone, microphone, televisions and DVD players. We also offer a delicious menu from our Bistro Restaurant to meet your food and beverage needs while you’re here.